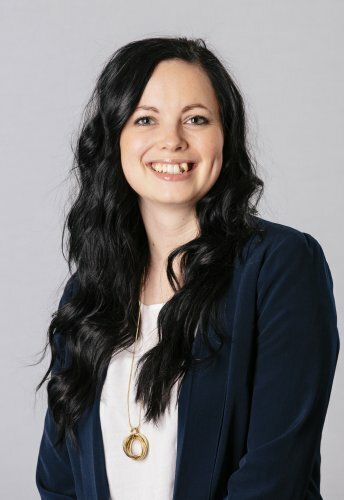 We at the Canadian CED Network (CCEDNet) are excited to share the news that Marianne Jurzyniec, a member of our board of directors, will be awarded the Co-operative Young Leader Award at the Co-operative Merit Awards Banquet on Monday, October 15! Marianne began her career at Affinity Credit Union in 2005. Four years later she joined CCEDNet's Emerging Leaders committee (now sadly defunct), to share her growing interest in community economic development with other youth across Canada. Representing the committee, Marianne joined the board of directors with the goal of ensuring that youth perspectives were included in decision making. She played a particularly important role in supporting our national internship program CreateAction during it's last few year's in operation (2011-2015). Marianne continues to contribute her leadership abilities to CCEDNet through her involvement on the board of directors as well as chairing our Policy Council. She is also demonstrating her leadership through her current work at Affinity as Governance Liaison Manager. The banquet celebration will be held at the Travelodge Hotel, 4177 Albert Street in Regina, SK. Also receiving awards are Gordon Young of Radius Credit Union (Lifetime Co-operative Achievement Award) and Brett Fairbarn, professor at Johnson-Shoyama Graduate School of Public Policy and a Fellow in Co-operative History and Governance at the Centre for the Study of Co-operatives (Co-operative Contribution Award).